I have always been slow to take up the latest communication device and have usually deferred doing so till it becomes inexcusable not to. Hence my advance from the typewriter to word processor somewhere in the late eighties and my acquisition of an old Nokia about ten years ago. I plan to hold off on Facebook and Twitter for a while yet, even though I know it may lose me “Friends” in the interim. Now, confronted with the demand for a “blog”, I am told it should be a short, chatty, reasonably intimate piece of writing with a feeling of ephemerality. I am informed too that first names are de rigueur. 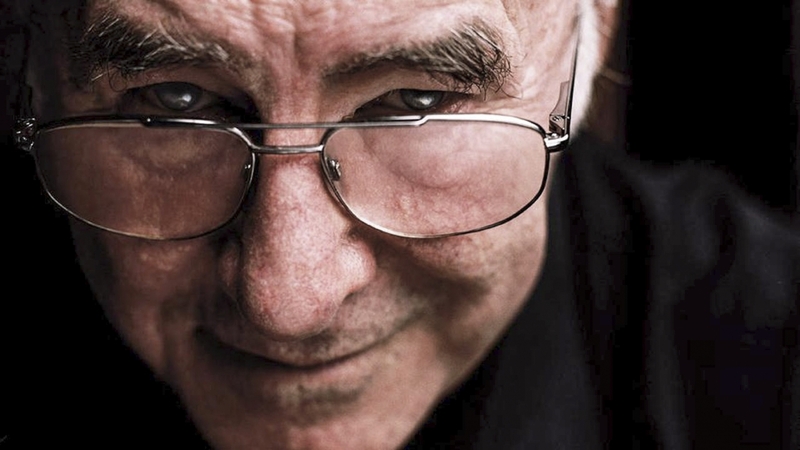 Such a context seems ideal for talking about the latest book by Clive James, his Poetry Notebook 2006-2014 (Picador 2014) — which I actually purchased for $32.99 rather than await a review copy. It’s been a busy few weeks for me, with quite a bit of travel and a good deal of attention to organising of poetry readings and jazz concerts. (That’s the personal bit out of the way). I’ve thus been forced to read the book piece-meal in coffee bars, in speeding vehicles and in snatches before sleep. That’s not the professional way to prepare a review but perhaps it is for a “blog”. It’s been great to have the company of (the no-longer-travelling) Clive — even if I didn’t get many words in. Like his good friend, the late Peter Porter, Clive is a compelling monologist. The Ancient Mariner’s Wedding Guest escaped relatively easily. As with Coleridge’s poem, Clive’s Poetry Notebook 2006-2014 also has a number of important things to impart, all of them somehow intensified by the author’s slowly losing battle with leukaemia. The book’s first part comprises fourteen pieces on poetry, mainly written for Poetry (Chicago); the second is made up of reviews deserving preservation, together with an obituary and a short “diary” or “blog” for the Spectator. The essays in the first part are cleverly linked by recently-written “interludes” which provide an after-the-event continuity. It’s a measure of Clive’s courage and critical acuity that the difference between his pre- and post-illness writing is not at all obvious. A consistent voice emerges throughout, intended or not. Though Clive is commendably concerned only with the poetry under consideration, a strong sense of an enthusiastic but judicious personality also emerges. As Clive makes clear, he has been preoccupied with poetry since high school in Kogarah and, despite distractions into areas more productive of fame in London and elsewhere, he has never lost his passion for the form. 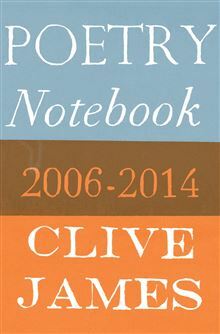 As we know from successive collections, Clive’s own poetry has been marked by technical expertise and lightness of touch with just a few poems (more numerous lately) going as deep as the best work of those earlier canonical poets he so much admires (and so well understands). Clive is no hagiographer, however. He has firm (and sometimes unpredictable) opinions about some highly rated poets e.g. Milton whose “Paradise Lost” is spoiled, he thinks, by an excess of deadening classical allusion. Likewise, the later poetry of Wallace Stevens which he finds too abstract and self-imitative. Though it’s clear Clive much prefers formal poetry to what he calls “informal” poetry (i.e. free verse), he is careful not to cut himself off from the pleasures of the latter just to be dogmatic. He laments, however, that the current Australian poetry scene is dominated so much by the “informal” and implies a contrast with the situation in the US and the UK. Though much of his discussion concerns the poetry on either side of the Atlantic (there’s a great essay on Robert Frost, for instance) Clive, the expatriate, is by no means ill-informed about, or uninterested in, Australian poetry. There is an extended essay on James McAuley’s classic poem, “Because”, and enthusiastic reviews of major books by Stephen Edgar and Les Murray. His strongly-felt obituary for Peter Porter (1920-2010) could also be included in this category. Ultimately, however, Poetry Notebook is a work of opinion. It’s not unlike two poets over a few beers discussing just which poets and which poems they approve and disapprove of going all the way back to Chaucer (if not Homer). Clive’s opinions are never arbitrary and are, at least briefly, supported by argument and quotation. There are some judgements, however, that (for all his erudition) are easy to disagree with. He says, for instance, that “Judith Wright was a big Australian name but I could find only two or three self-sustaining poems in all her body of work”. He praises Wright’s efforts to “save the Barrier Reef from the mining companies” but compares her unfavourably to Gwen Harwood — “a better guardian of real meaning”. I seem to remember Peter Porter (unlike Les Murray) had a similarly negative view of Wright. It could well be, of course, that Judith had a comparable view of Clive’s poetry, if she attended to it at all. It may also be that Wright’s work is better savoured in Brisbane or Sydney (or Bunyah) than in the far-off drizzle of London. Speaking of Peter Porter, however, must remind us of Clive’s excellent obituary on him. Here, the poet tellingly analyses his old friend’s foibles — and remembers fondly the series of conversations about the many dimensions of literature they were commissioned to record in London for the ABC. 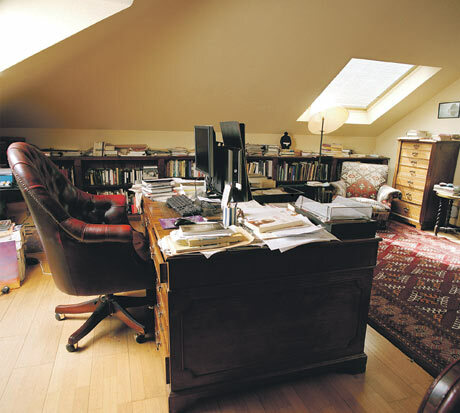 It’s been broadcast at least twice on Radio National and is available (with some difficulty) on Clive’s website (http://www.clivejames.com/audio) where it remains a marvel of two people in love with a subject they know deeply (and can quote from endlessly). The greatest compliment a reader could pay Poetry Notebook 2006-1014 is to say that it possesses a good deal of the same colloquial energy and effortless knowledge that those memorable conversations have. The whole book is, as Hemingway looked for in regard to bullfighting, an impressive display of “grace under pressure”. Thank you, Geoff for taking the time to produce this blog. I am currently reading this book and others written by Clive James. For me, he produces work that I can enjoy while learning. I feel it is thoughtfully crafted, intelligently structured, and real. It touches as it teaches.